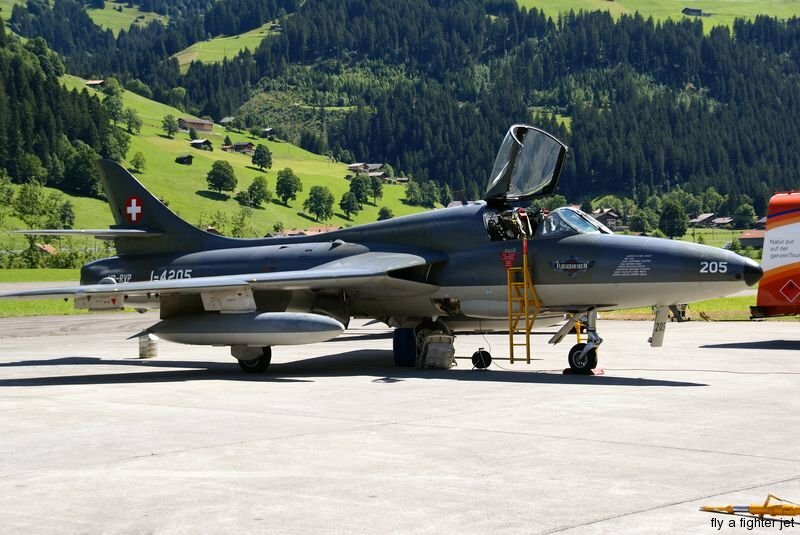 Take the opportunity to enjoy the Alps in a way never seen before – together with honored pilots of the Swiss Air Force for which the skies between these massive mountains are their home. The scenery of the Swiss Alps is world-known for its green meadows which, the higher you go, slowly become snow-covered mountain summits. Among these mountains there are canyons and valleys and sheer rock walls. 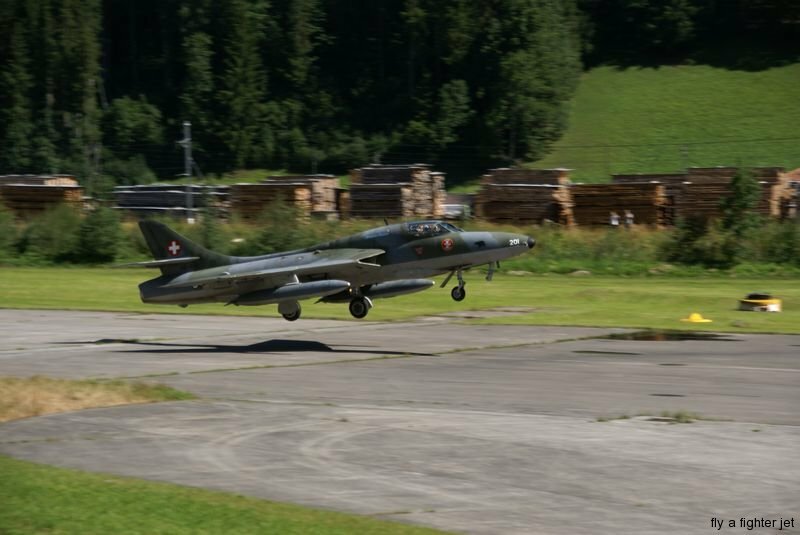 In the midst of this lay military air strips of the Swiss Air Force, built during the cold war as a protection against a feared soviet invasion. You now have the opportunity to fly from exactly these airstrips with Pilots who were trained to dominate any dogfight in these mountains. 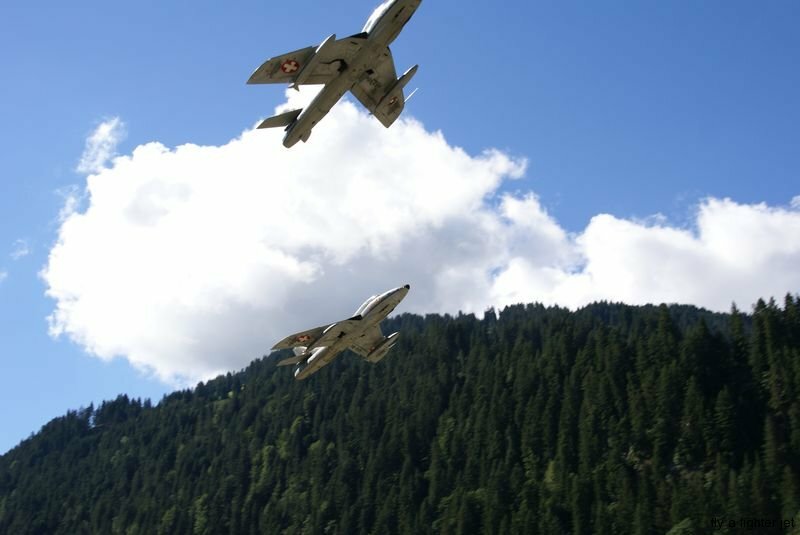 Low-level-flying, steep angles of attack, even simulated ground attacks are waiting for you. 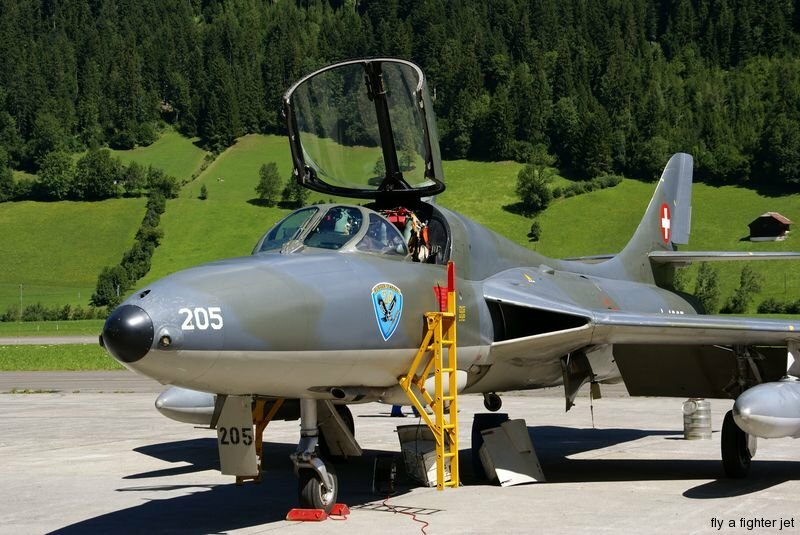 What are the requirements to fly the Hawker Hunter? If you’re healthy, you’re probably good to go. See a detailed list of what’s needed. 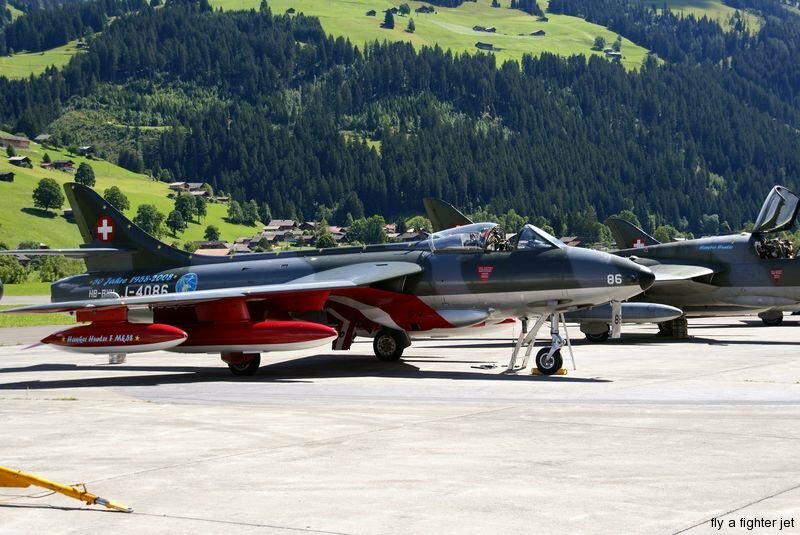 What will I get if I book a Hawker Hunter jet flight with FlyFighterJet.com? 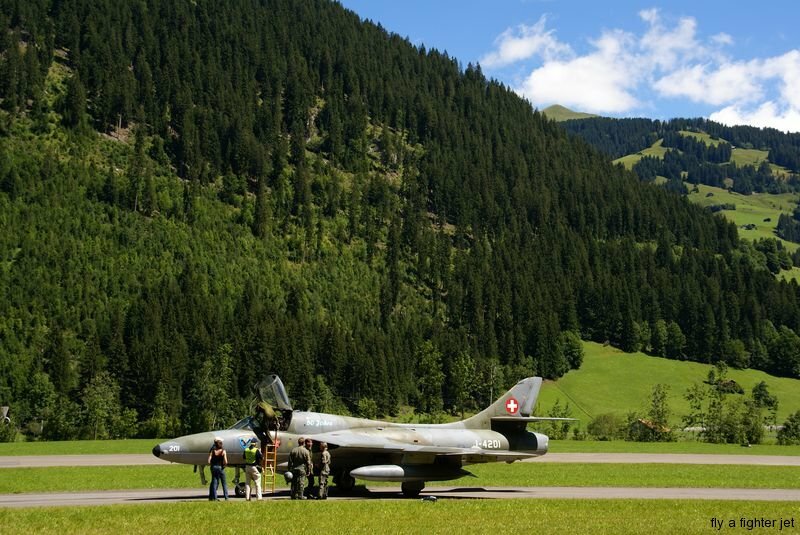 What does it cost to fly the Hawker Hunter in Switzerland? Currently, a 25 minutes flight costs €7500, including all paperwork and translation services. However, prices are subject to change because of changing currency exchange rates and fuel prices. 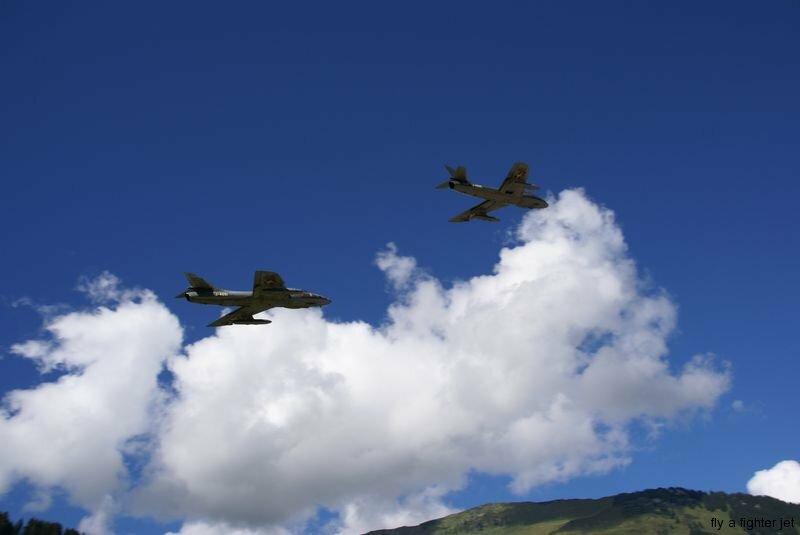 Hunter flying opportunities are rare and in high demand. Please make sure to book as early as possible. Absolutely! Grown up in Switzerland we know the best places to go. No matter if you prefer urban clubbing or recreational hiking in the untouched surroundings of the Swiss Alps – we can put together an itinerary to meet all your needs. If you pass by Zurich or Lucerne, you’re invited for a traditional dinner. 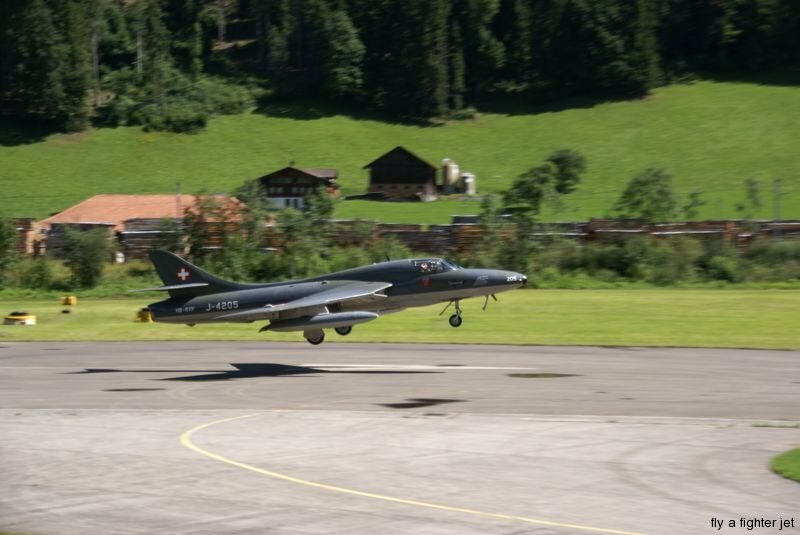 Click here for more information about the Hawker Hunter. "I felt absolutely safe in the air, and that I could control the jet myself put the cherry on the top!" - Andrea, Insurance Account Manager from Italy.